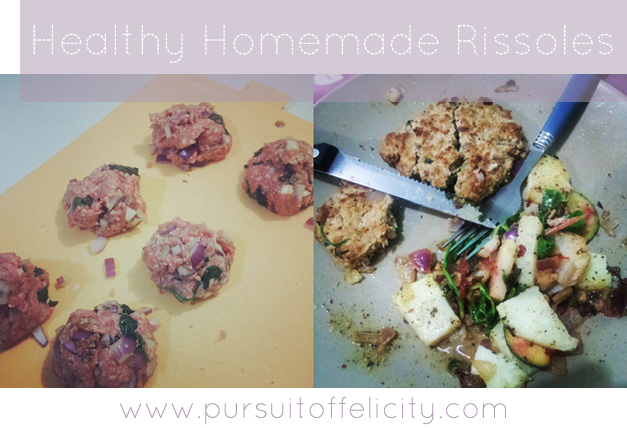 Pursuit of Felicity: Healthy Homemade Rissoles Recipe. I was never a big fan of rissoles growing up, but ever since I started eating clean I've been looking for new ways to eat my vegetables, and hiding them inside rissoles seemed like the perfect way.. and as it turns out, an extremely tasty way! If I have any vegetables sitting in the fridge that are starting to go a bit funny, I now just hide them inside a rissole and fry them up until they taste like amazingness. :) I love me some healthy rissoles with a salad, baked sweet potato, or even just a pile of mixed veggies.. and more importantly, my man loves to eat them as well! 1. Combine all ingredients (except for the olive oil) together in a large bowl. 2. Sprinkle some olive oil into a frying pan and place on the stove at a medium heat. 3. Break your mixture up into large balls and press the balls into the frying pan to make a rissole shape. 4. Cook each side until nice and brown (at least 3 mins per side) and cut one open to check that they are cooked before serving. Yum! I am trying to be more healthy so thanks for the great recipe inspo! You're more than welcome hun! Banana & Apple Oat Muffins Recipe. Bread and Butter Pudding Recipe - Two Ways! My life lately: The gym + long awaited catch ups. 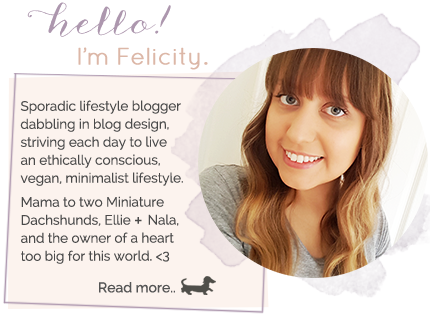 Project: Longer Locks - 9 Month Update!